Take Back the Archive | Coed Naked Education: A history of women at U.Va. Coed Naked Education: A history of women at U.Va. 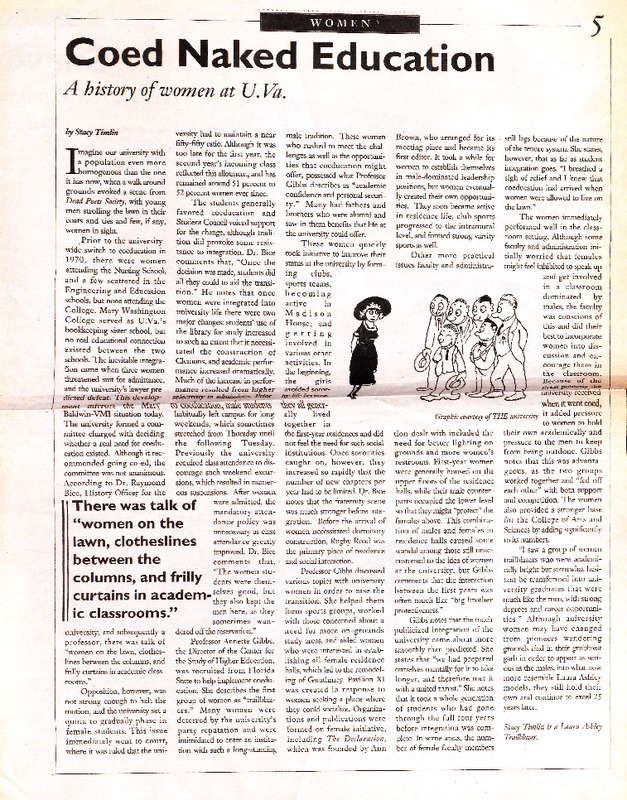 An article that recounts the history of women being allowed into the College of Arts and Sciences at the University of Virginia.